Greek, Etruscan, & Roman Bronzes (MFA), no. 426; Sculpture in Stone and Bronze (MFA), p. 124 (additional published references). 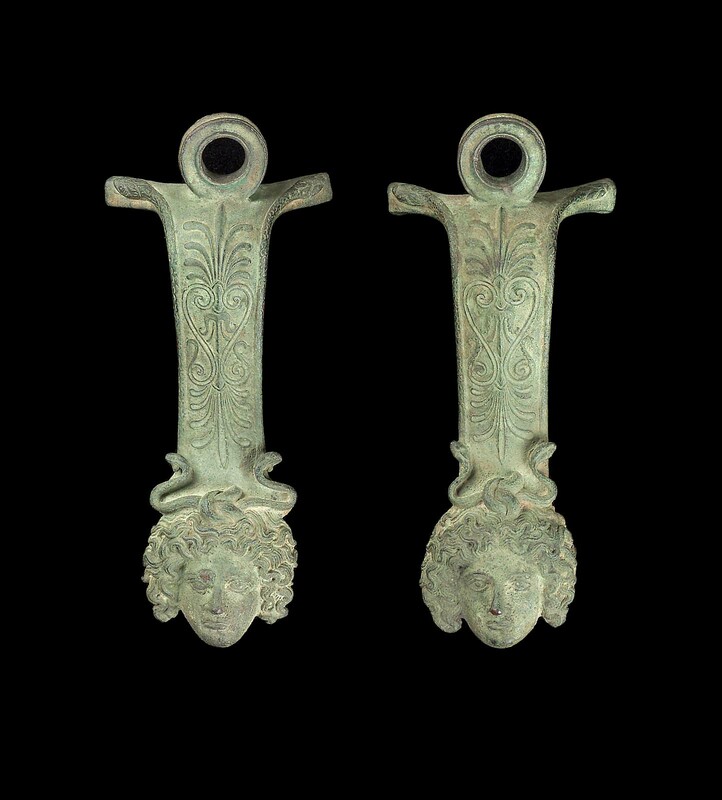 The rings in the top are for attachment of a swinging handle; on the bar are double palmettes with lyre-form volutes between, bordered by a pair of snakes. At the bottom are classicizing heads of Medusa with ample locks and knotted snakes above. The eyes were inlaid with silver. Light green patina.